With particular reference to Rose Tremain’s Orange fiction prize-winning novel The Road Home, Marina Lewycka’s Two Caravans, John Lanchester’s Capital and others, this chapter looks at the depiction of Eastern European migrants in contemporary British fiction. Even though these novels offer more varied representations than those from the Cold War period—the communist spy becomes here a hardworking migrant—this chapter shows that the New European migrant is still a stock character in these works: they are builders, fruit pickers, nannies, and waitresses. He/she usually speaks in broken English and is primarily focused on making money in the West—indeed, his/her aspirations rarely extend beyond this. 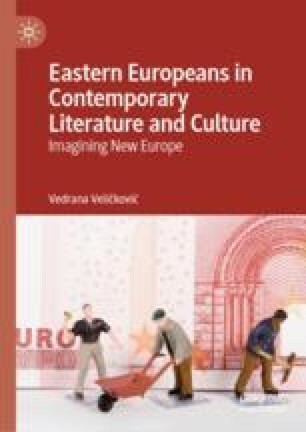 Finally, it critically examines the portrayal of Eastern Europeans as either highly sexualized or masculinized characters.